Russia will only agree to a shared missile shield with the US and will not accept the implementation of any new missile project by the US, Russia's Chief of General Staff Nikolay Makarov has stated. The statement comes as Russian and US representatives hold consultations concerning the new strategic arms reduction agreement in Geneva. He added that Moscow is negative about the US intention to deploy anti-missile defense elements in the Caucasus. Russia believes there’s a need for a global defense system. The US, though, does not support the idea. “For now they do not agree on a global AMD system. We haven’t had any consultations on the issue,” General Makarov told journalists. He also hinted that Moscow has not yet taken the decision to give up its plans for the deployment of Iskander missiles in the Kaliningrad region because of the US shelving its anti-missile program in Eastern Europe. “A decision has not been made,” Makarov said, speaking in Switzerland, where he's part of the delegation accompanying President Medvedev on his official visit. Aleksandr Pikaev of the Institute of World Economy and International Relations said that the Russian military is taking its time to analyze the situation before making up its mind. 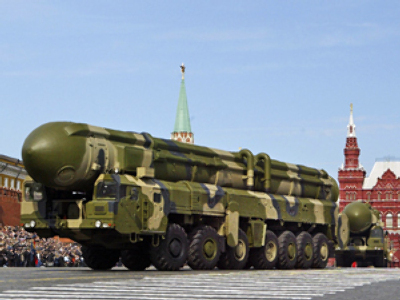 In November 2008, the Russian president announced that Iskander missiles will be deployed in the Kaliningrad region as a response to the possible deployment of an American anti-missile defense system near Russian borders. Last Thursday US President Barack Obama announced Washington is reviewing its plans for the anti-missile shield because of a “reassessment” of the Iranian threat. On Monday, Dmitry Medvedev once again stressed the need for a new security architecture in Europe. 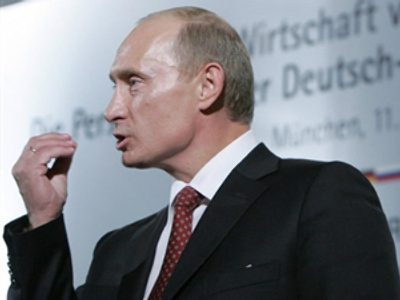 At a joint news conference after a meeting with his Swiss counterpart, Hans-Rudolf Merz, the Russian leader said that the level of European security has dropped in the last 10 to 15 years. Watch the joint media conference of Dmitry Medvedev and Hans-Rudolf Merz.